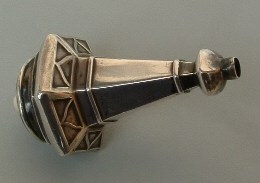 this is a silver electric bell push of exagonal shape. 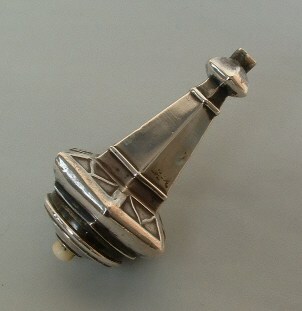 It has ivory push button and was made in Germany at the end of 19th century or first years of 20th century. 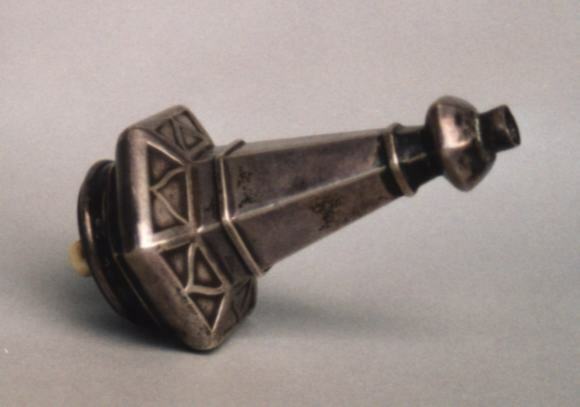 It bears German national hallmark ' crescent and crown ' and the ' six pointed star ' of Jakob Grimminger, silversmith in Schwabisch Gmund from 1893. 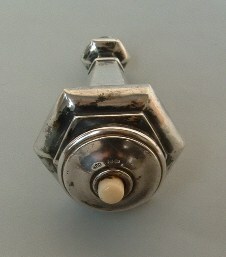 The electric bell push is 3 in. high (cm. 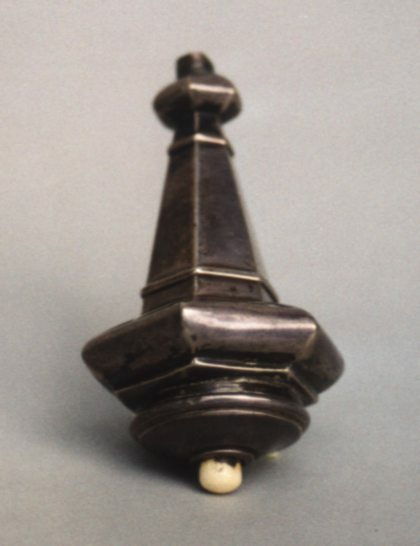 7,5) and was bought from an Italian dealer at a Flea Market.